This episode of the REIFCF podcast features real estate investment expert, Ellie Perlman, who is the founder and CEO of Blue Lake Capital, a firm that specializes on multifamily properties. She also runs a podcast and a blog that focuses on passive investing. Kevin and Ellie discuss valuable data and tips for anyone looking to invest or further a career in real estate. They dive into the current market conditions and creative practices and relate those with their own experiences that could give the listener fresh insights into real estate and investment. 11:00 Kevin and Ellie talk about the knowledge that can be learned from being a passive investor. 13:40 The advantages of being on the general partnership side and the relationship of lender and investor. 18:20 Talk on ways to learn how to handle your own and other people’s money. 20:29 Ellie explains why she chose states where she invested in and what factored into her decisions. 22:45 Discussion on new and current opportunities and their IRR’s. 30:06 The current market and what is exciting and scary about it. 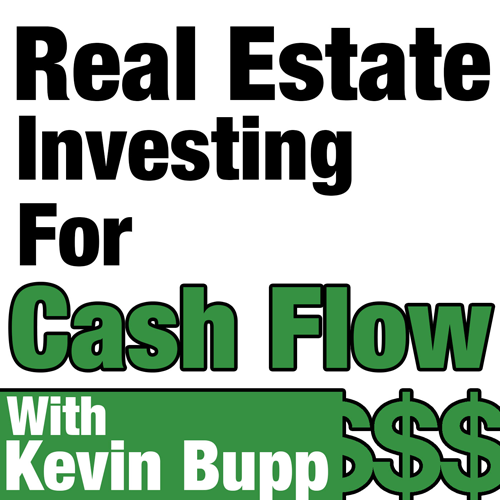 32:10 Kevin and Ellie talk about cap rates and how it factors into investments. 37:10 Ellie discusses deal sourcing and advises inexperienced people on how to potentially start out in real estate.